I think the pre-Christmas stress is starting to kick in now, presents still haven’t been delivered, still haven’t wrote any Christmas cards out, and I still have to go shopping for the final bits and bobs. Hurrah for my little bank of flexi time which I have gained at work over the last few weeks. However I am feeling festive- office buffet tomorrow (I’m attempting to cook- wish me luck), playing Christmas songs on the hour every hour at work, nights out with fab friends/work peeps and Home Alone. Last month ye olde Durham town played host to its second Lumiere Festival and Durham was transformed with lots and lots of fab light installations. Me and Stephy (and Mucka Gaylordfocker) wrapped up warm and had a wander around Durham. To be honest I’ve never ever seen Durham so packed- literally we had to wait 20 mins to get up to the Cathedral. If you have never been to Durham before- you should definitely visit, shame that a small percentage of the Uni students give the City a bad name (note small percentage, the rest of you are fine). Anyway here are some pictures of mine and Steph’s adventure, you can see more on Laura's blog too. "Crown of Light" I love Durham Cathedral- pictures didn't do this justice at all. "Les Voyageurs"- really loved these down the streets. Amazing. Magical bridge, "Helvetictok"- telling the time on the passport office, "Binary Waves" by the riverside, another bridge lit up. 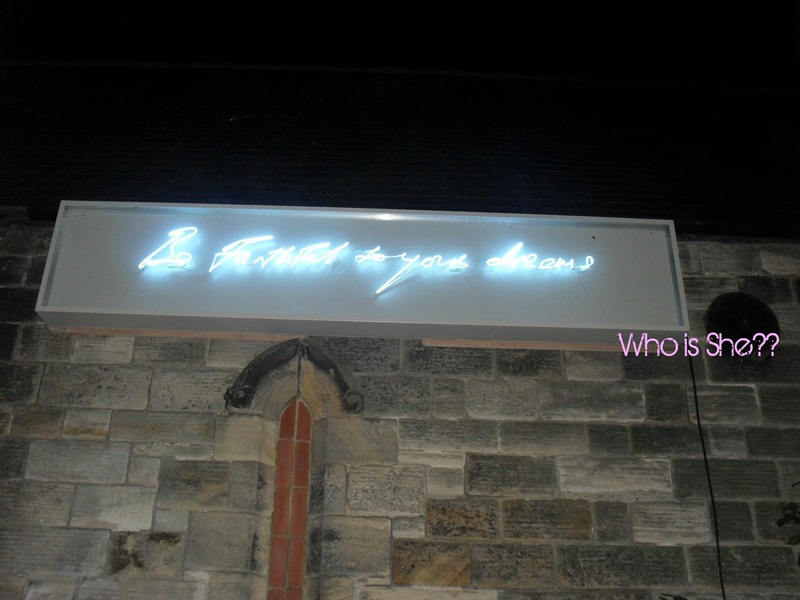 What I really wanted to see..
"Be Faithful to Your Dreams"- Tracey Emin. This was in a chruch yard at the bottom of Providance Bank, was quite spooky as me and Steph were the only people here along with a security guard, and then the music from the Cathedral display could be heard (think singing monks and roaring of fire). 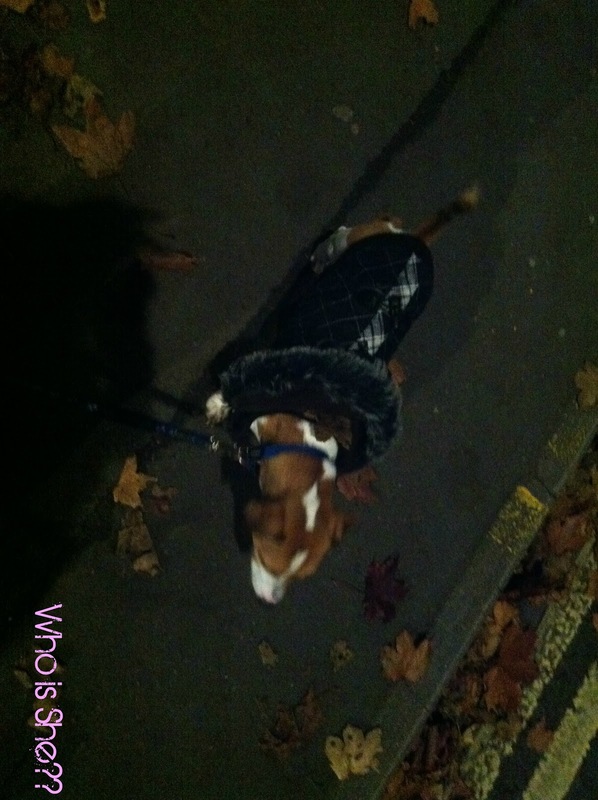 Mucka in his snazzy winter coat.